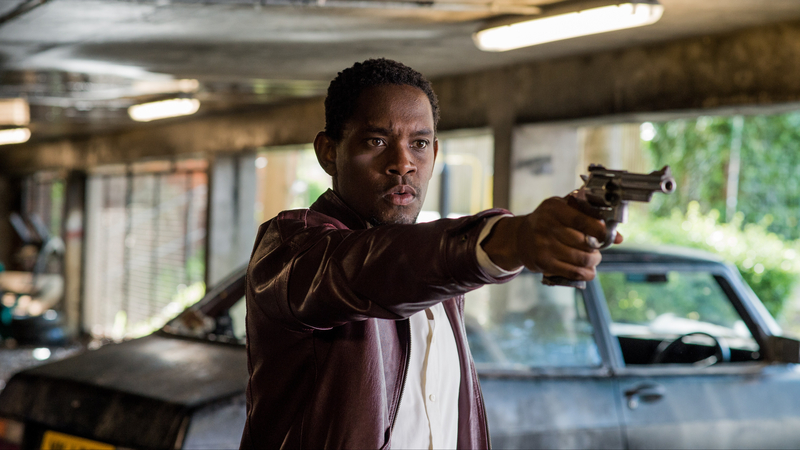 Jamaican drug runner Dennis (Aml Ameen) is sent to Hackney in Idris Elba’s directorial debut Yardie, or The Harder They Come To London. Unfortunately Elba appears to have picked up everything he knows about directing from his time on set with Guy Ritchie and Jada Pinkett Smith, failing to grasp film-making elements as basic as character motivation and coherent storytelling. Dennis’ actions never make much sense, making it hard follow his story or invest in the drama. He’s well played by Ameen, but the character never learns anything in his new home other than the meaning of the word Hackneyed. The most memorable performance comes from This Is England‘s Stephen Graham (another Warp Films production), whose effortless flipping between cockney and Jamaican accents will sound familiar to anyone who’s ever heard an MC switch to their regular voice to make announcements about parking. Elba also lets the characters speak Patois without subtitles, but does include plenty of dub. The soundtrack comprises a fine reggae selection, featuring everyone from Black Uhuru to Grace Jones. Stock characters, meaningless violence and nonsensical plotting make Elba’s first stint behind the camera feel unoriginal and uninteresting. He really would make a great James Bond.